I had been to the Chennai book club meets at the Pasta Bar Veneto, Burkit Road earlier and enjoyed the intellectually charged discussions. 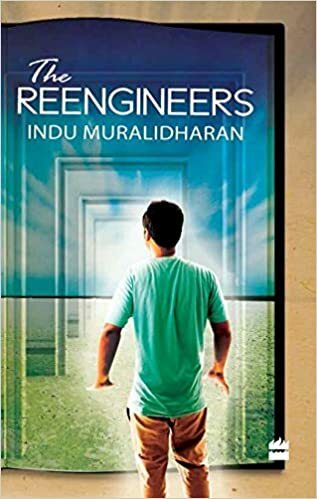 It was a pleasure and a privilege to visit the event as an author for the first time, earlier this month and talk about The Reengineers. It was a most enjoyable evening spent discussing modernism, surrealism, postmodernism, the relevance of genre to a reader and the significance of book covers among other things. I was especially delighted by a set of intelligent questions that a reader had for me. He referred to a paragraph in The Reengineers (one of my favourites) which talks about a chain of writers inspiring each other across centuries, their words transcending time, space and even language. Thus Shelley inspired the Tamil poet Bharati to write under the name ‘Shelley-dasan’ (Shelley’s devotee), who in turn inspired the poet Bharati-dasan and so on. This gentleman wanted to know if I had a particular author whom I could relate to, as my inspiration. While there is no single author whom I relate to completely, I told him about the four writers who have been my biggest inspirations – Nabokov, Salinger, Julian Barnes and my beloved Muriel Spark. I am a devotee of all of them, worshipping at multiple shrines of literature. Hi Jagan, welcome to my blog and thank you very much for the thought-provoking questions, I greatly enjoyed our discussion. in case you are able to read my book someday, would love to know your thoughts about the rest of it.